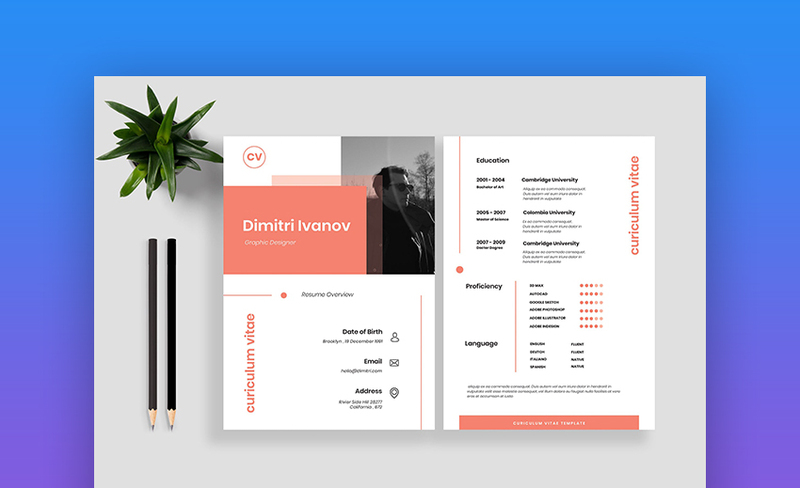 The Resume CV Vol 15 is a beautiful resume example with a clean layout and pops of color that serve as an accent for different sections. 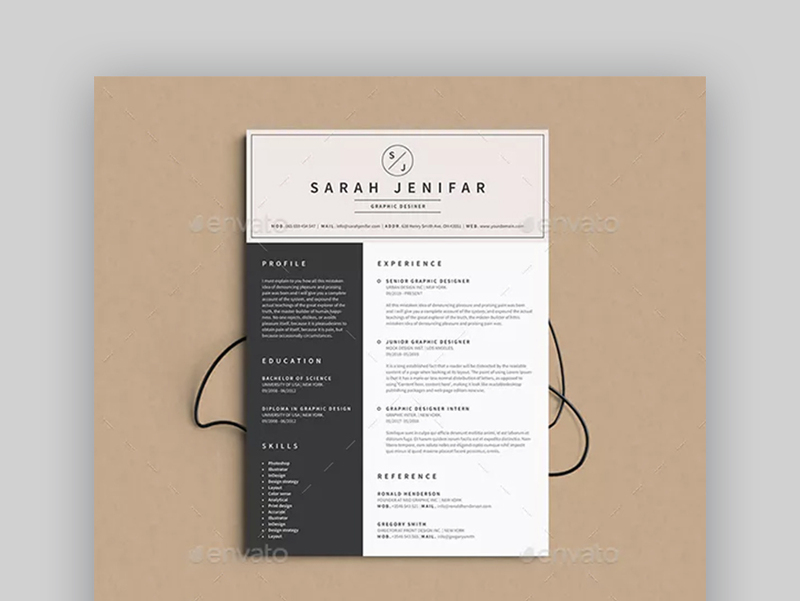 You’ll certainly be able to stand out with a prominent profile photo or an attractive logo right in the header area and there’s plenty of room to include the most important information about your experience and education. 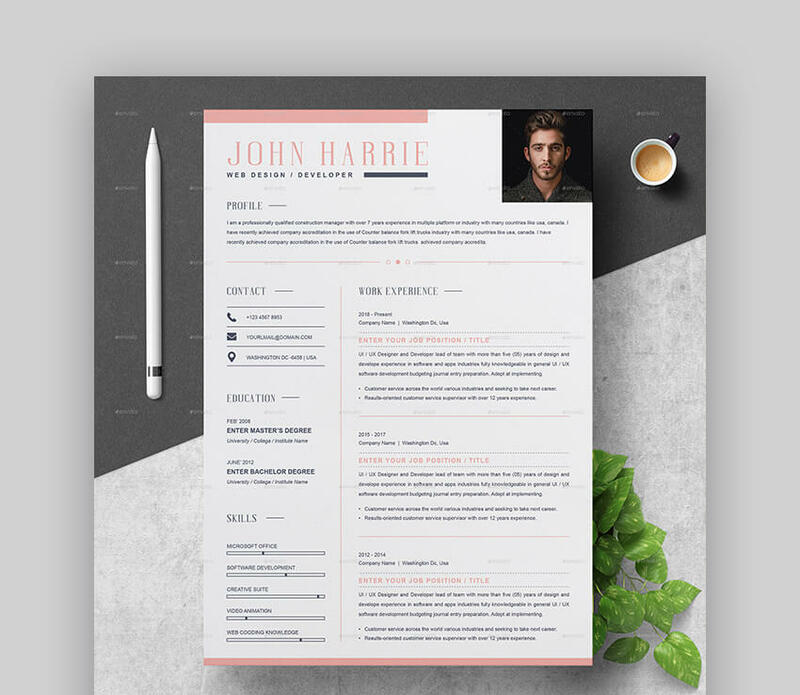 The Resume template includes one, two, and three-page resume templates so you can use this template no matter how much experience you’ve got under your belt. 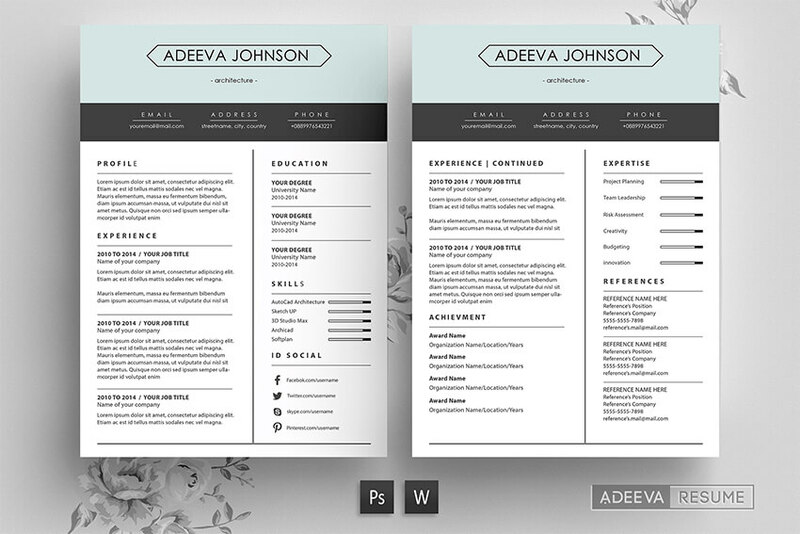 The template is easily editable in Word, Pages, Photoshop, and Illustrator. 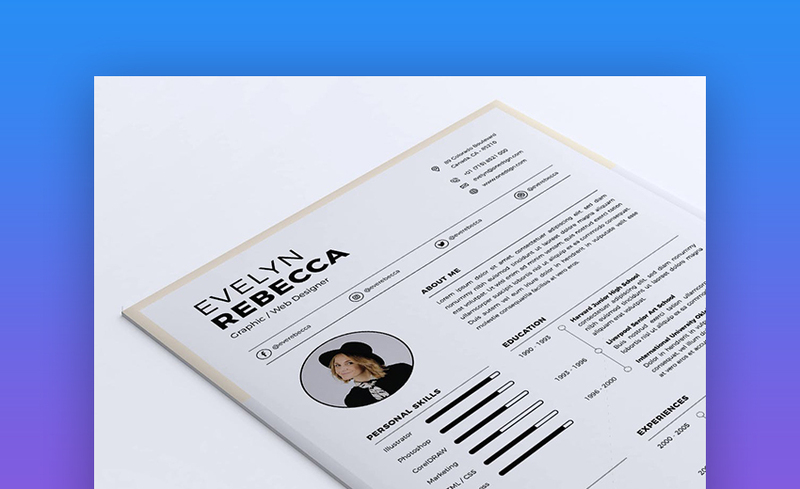 It also includes a detailed help file and you can customize colors, fonts, and replace the dummy information with your own. 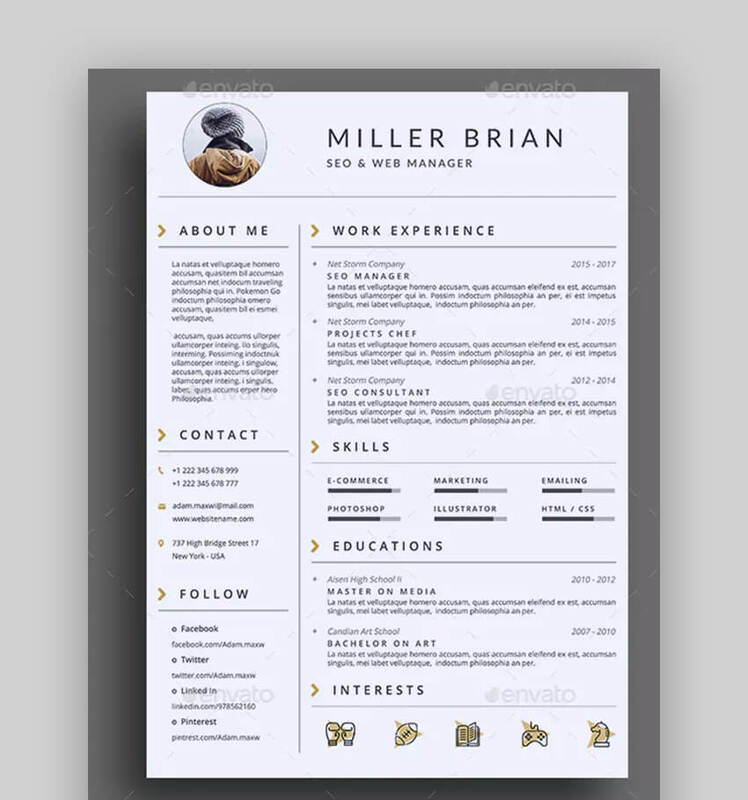 The Professional Resume is a great choice if you’re just starting out with your job search. 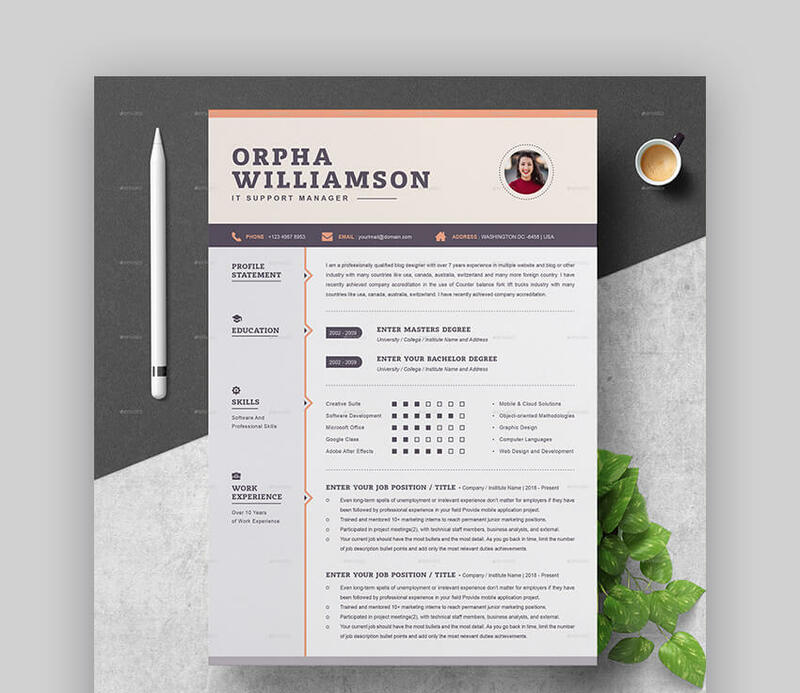 This template includes a one-page resume as well as a cover letter and makes your template stand out with a colored border at the top. 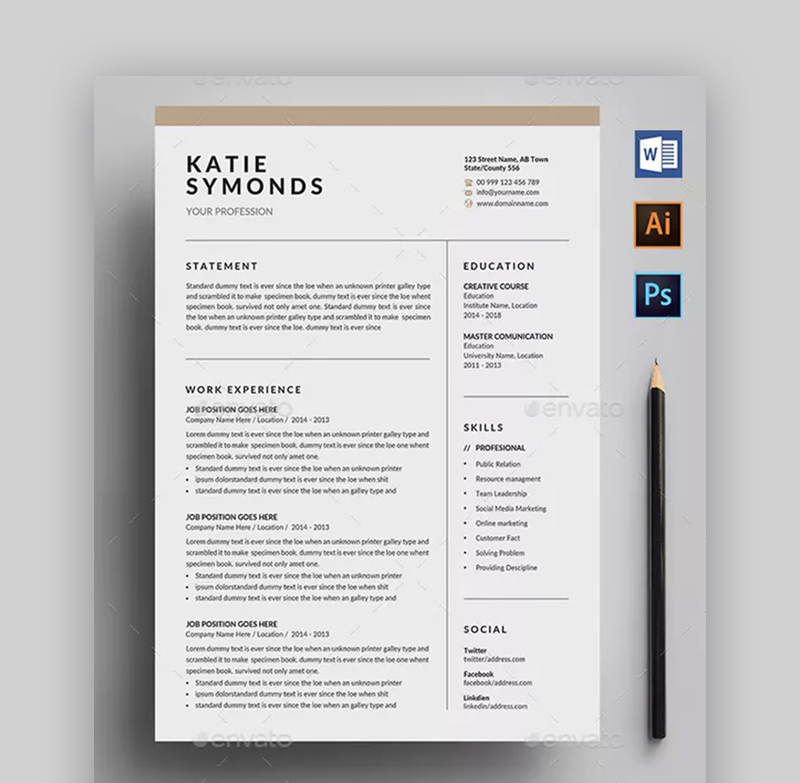 Edit the resume in Word, Illustrator or Photoshop and tweak the colors and fonts to match your personal preference. 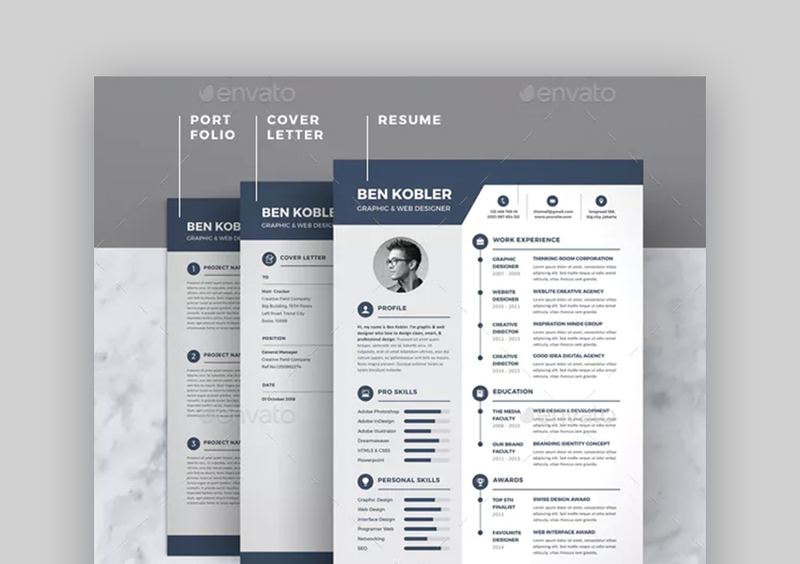 As you can see, there’s no shortage of awesome resume templates on marketplaces like Envato Elements. 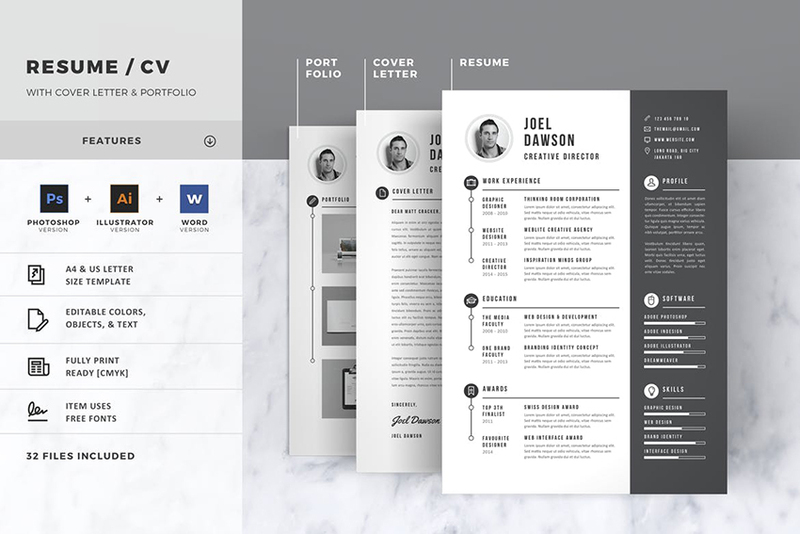 It’s the perfect starting point when you need access to different design assets and templates like resume and CV templates. 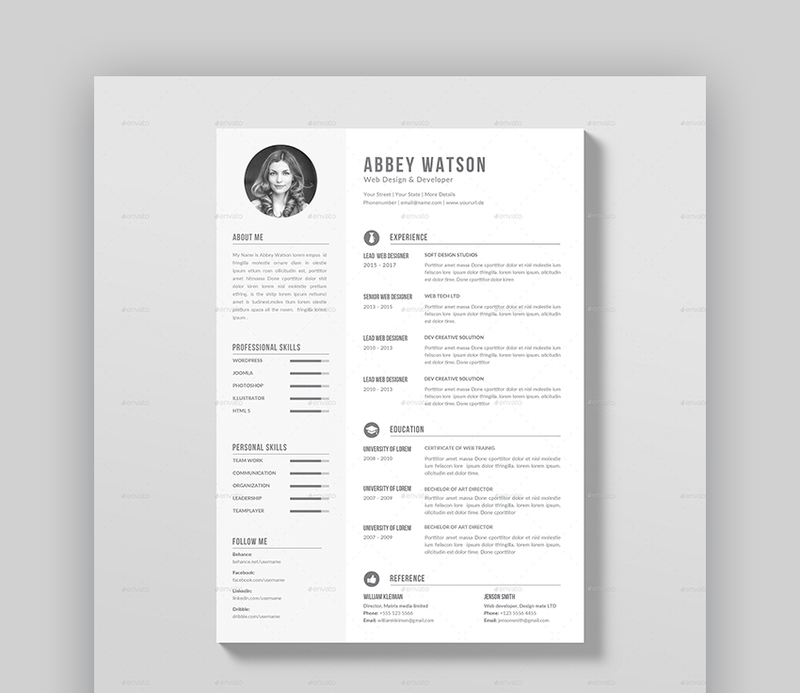 A beautiful resume template is only the starting point when it comes to creating an awesome resume. 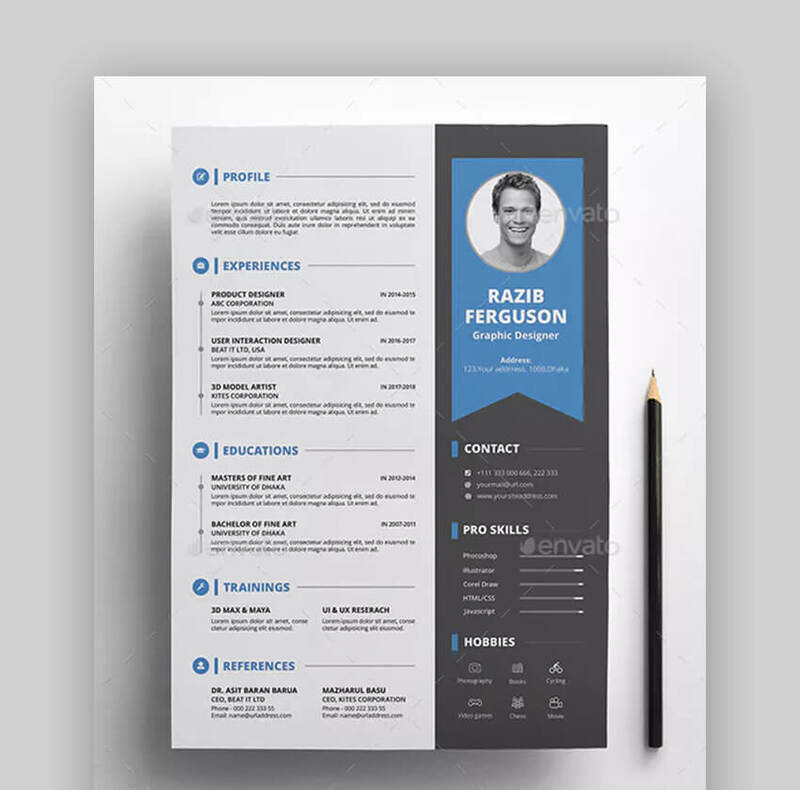 Here are five tips that’ll help you create a standout resume. 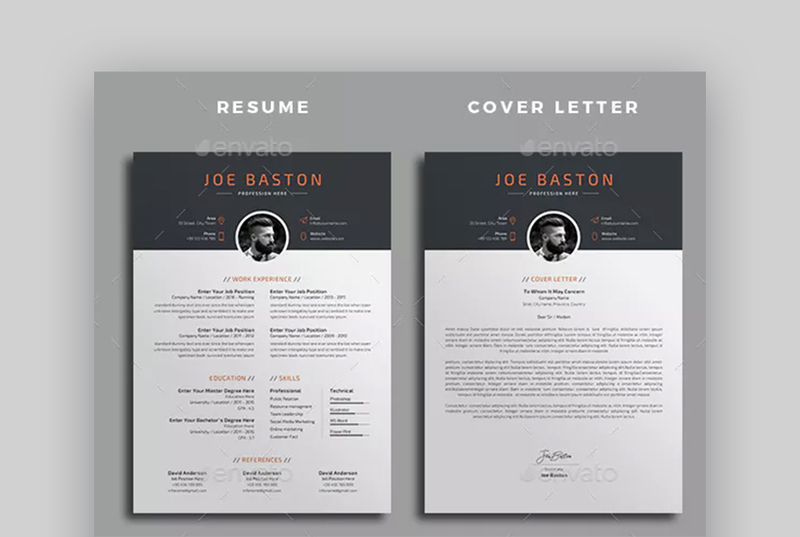 If you’re applying for a creative position that requires a portfolio, make sure to include only the best samples. 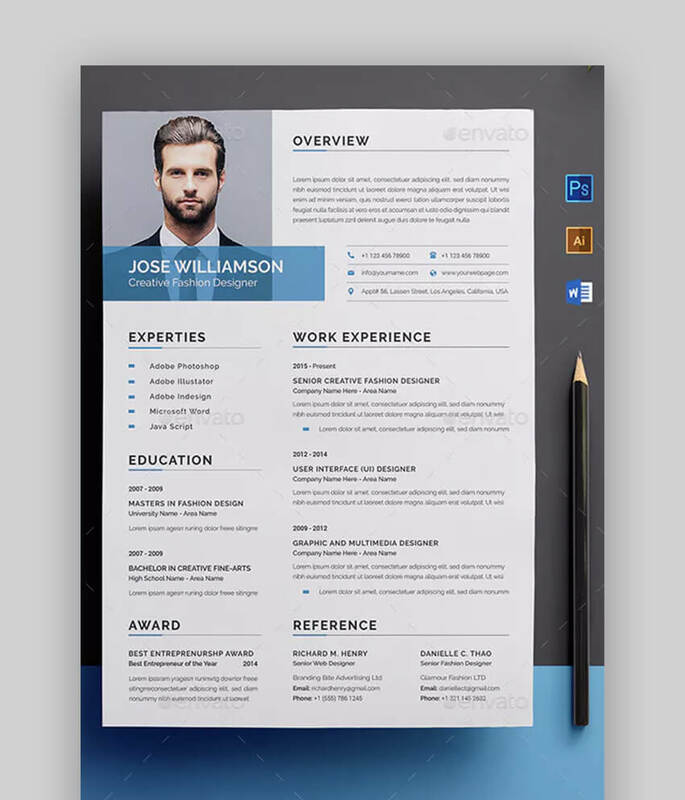 After all, you want to impress your potential employer, not to mention you’ve got limited space. 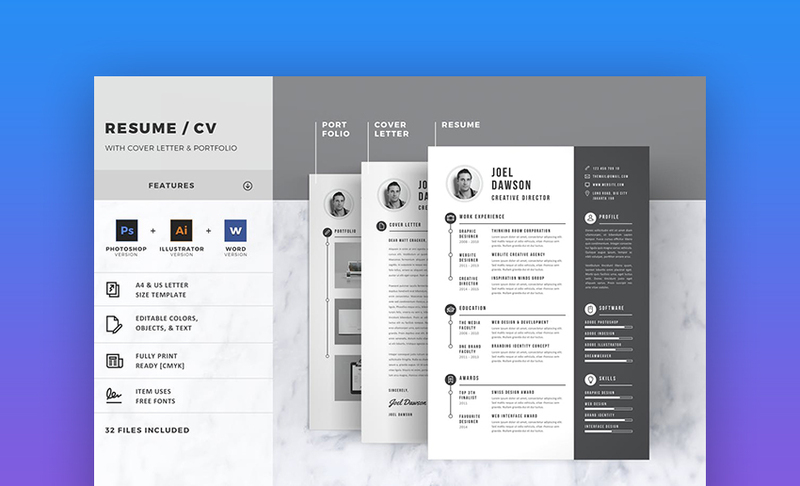 With an awesome resume, you’ll have no problems finding your dream job. 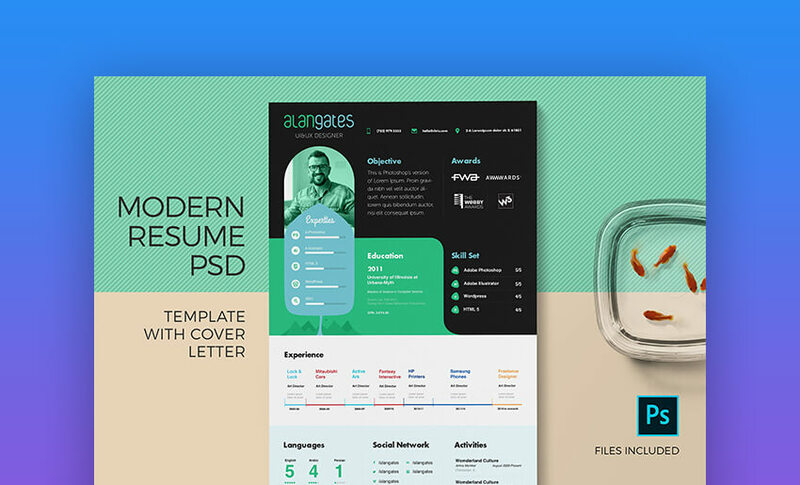 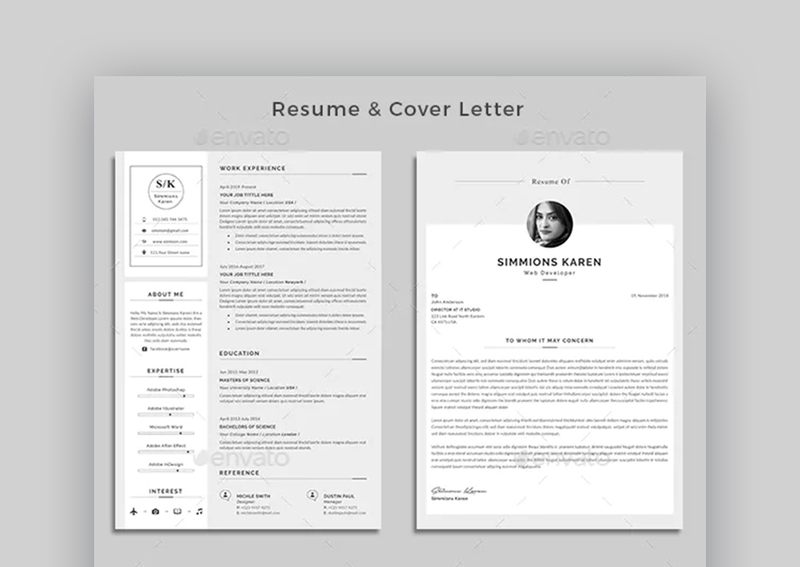 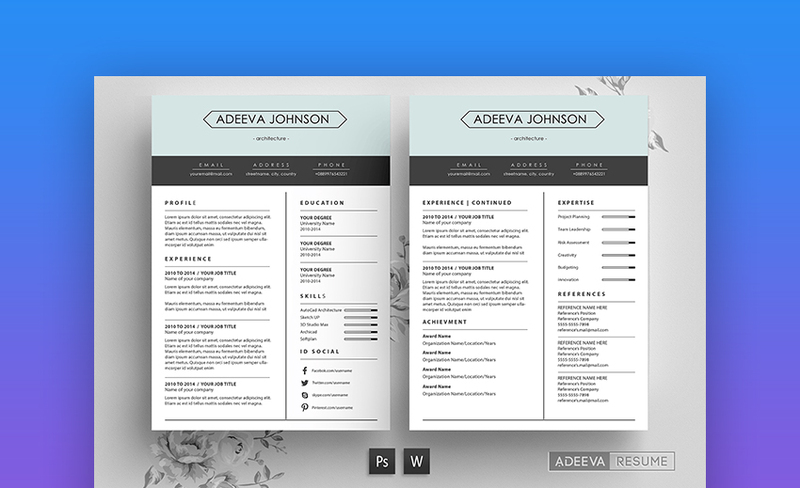 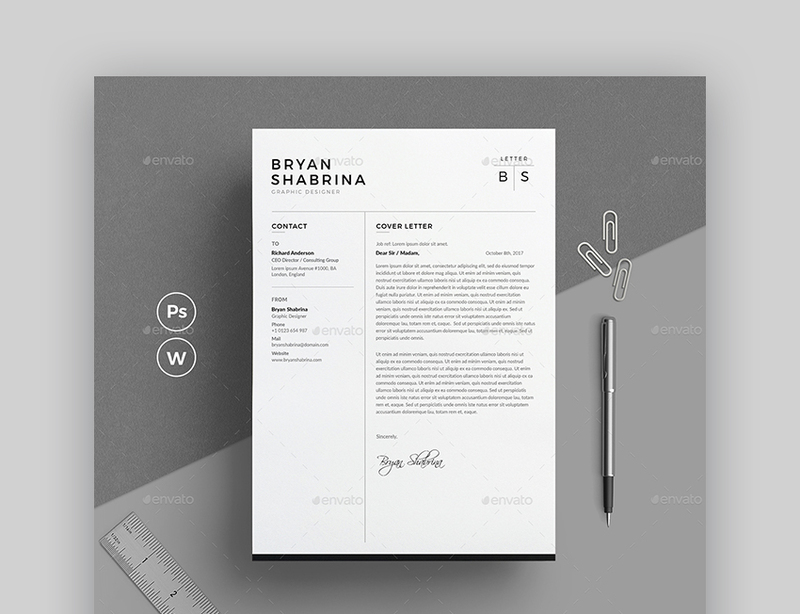 Start your search by browsing our collection of awesome looking resumes on Envato Elements and don’t forget to stop by GraphicRiver for even more beautiful resume layouts. 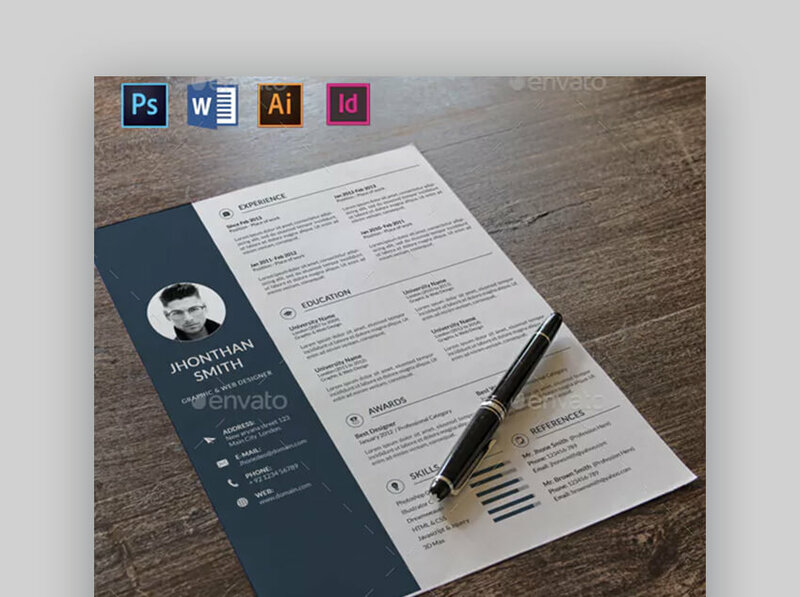 Don’t wait! 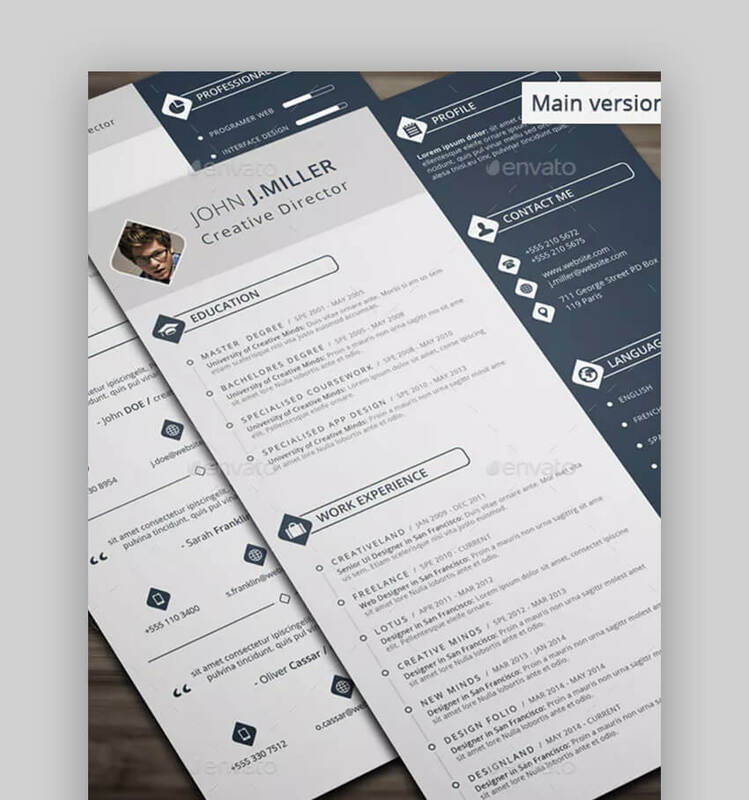 Download your favorite now.